Simon Fraser University and Swiss researchers are developing an eco-friendly, 3-D printable solution for producing wireless Internet-of-Things (IoT) sensors that can be used and disposed of without contaminating the environment. Their research has been published as the cover story in the February issue of the journal Advanced Electronic Materials. SFU professor Woo Soo Kim is leading the research team's discovery involving the use of a wood-derived cellulose material to replace the plastics and polymeric materials currently used in electronics. Additionally, 3-D printing can give flexibility to add or embed functions onto 3-D shapes or textiles, creating greater functionality. 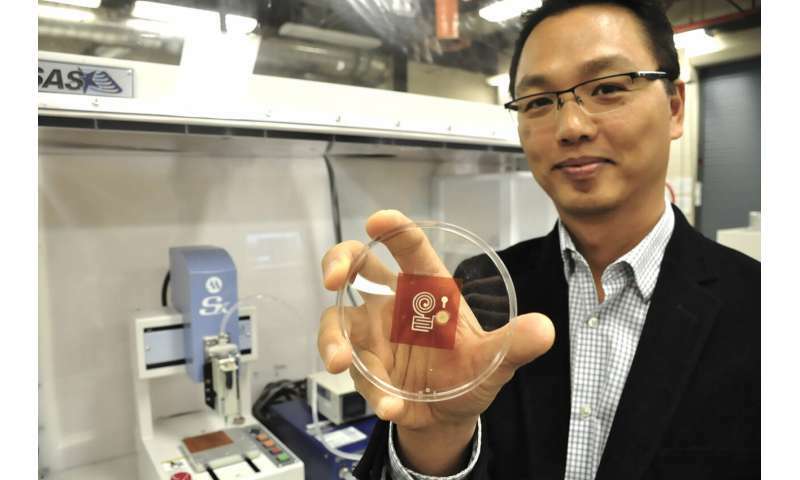 "Our eco-friendly 3-D printed cellulose sensors can wirelessly transmit data during their life, and then can be disposed without concern of environmental contamination," says Kim, a professor in the School of Mechatronic Systems Engineering at SFU's Surrey campus. The research is being carried out at PowerTech Labs in Surrey, which houses several state-of-the-art 3-D printers used by researchers. "This development will help to advance green electronics. For example, the waste from printed circuit boards is a hazardous source of contamination to the environment. If we are able to change the plastics in PCB to cellulose composite materials, recycling of metal components on the board could be collected in a much easier way." Kim's research program spans two international collaborative projects, including the latest focusing on the eco-friendly cellulose material-based chemical sensors with collaborators from the Swiss Federal Laboratories for Materials Science. 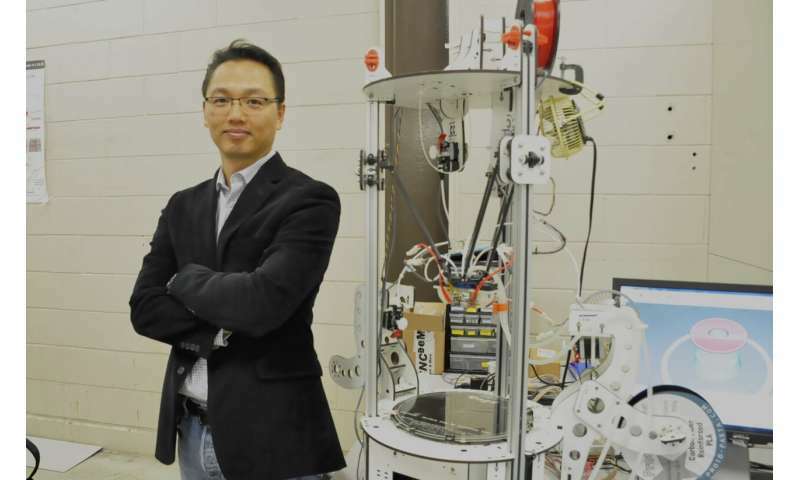 He is also collaborating with a team of South Korean researchers from the Daegu Gyeongbuk Institute of Science and Technology's (DGIST)'s department of Robotics Engineering, and PROTEM Co Inc, a technology-based company, for the development of printable conductive ink materials. Earlier this year Kim was selected as a Brain Pool Fellow by the National Research Foundation (NRF) of Korea. An expert in 3-D printed electronics who heads SFU's Additive Manufacturing Laboratory, Kim spent six months collaborating with researchers at Seoul National University to advance fabrication of thin film transistors using 3-D printing technology.